Audiences are questioning yet oddly curious about the new Dora the Explorer film produced by Michael Bay. Especially with a new poster recently released to the public, fans are intrigued by the more adventurous look that the preschool cartoon show is giving off. Fans are also noticing the appearance of Boots, Dora’s little monkey sidekick, on the poster yet seemingly not wearing any boots. Yet the more surreal part is who they got to play as Dora’s sidekick. 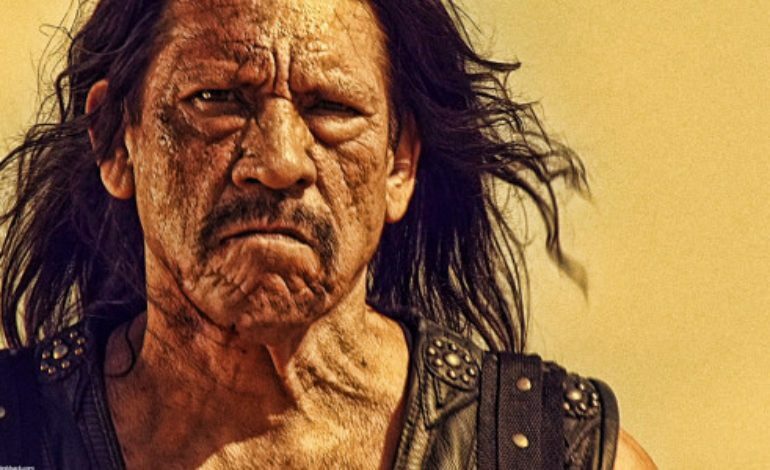 On twitter, Danny Trejo announced that he will be providing the voice for the little monkey sidekick. A oddly surreal choice, yet also rather fitting considering Dora the Explorer‘s appeal to Latino market. Not to mention, Benicio Del Toro, will star in the film as Swiper the Fox, who is also an eccentric Latino actor given a very kid friendly role. Many expected Boots to be voiced by someone much younger but Trejo’s appearance as the character will definitely get some heads turned. Trejo also announce that this Saturday during the Kids Choice Awards, the first official trailer for Dora the Explorer will premiere. Soon enough audiences will witness a taste of what the new Dora movie will have to offer. Dora the Explorer is set to release on August 2nd 2019.